Fuelled by a growing demand for rhino horn in primarily China and Vietnam and driven by international criminal syndicates (many suspected to be linked to international terrorism), rhinos around the world are under threat of extinction. In 2012, both the Western Black rhino (Africa) and the Vietnamese Javan rhino species were declared extinct, and there are now only two Northern White Rhino left in the world, both of which are female. South Africa is now the last country in the world with a significant population of rhinos left in the wild. This is one of the reasons why it is bearing the brunt of what can arguably be described as one of the worst global wildlife conservation crises of the past 100 years. Southern White rhinos once roamed throughout Southern Africa until uncontrolled hunting in the 19th Century all but exterminated them. Thought to be extinct, 40 individual animals were discovered in the province of KwaZulu-Natal (KZN) in 1894, which lead to concerted efforts by the province to save these last survivors of a once-prolific species. By the 1960s, their numbers had increased to 600 and so began Operation Rhino – the international success story that saw the translocation of hundreds of Southern White rhino back into habitats across Africa, including the Kruger National Park. It is thanks to KZN’s rhino conservation pioneers that in 2010, Southern White rhinos around the world numbered 22,000 – 93% of them in South Africa. This has now dropped to less than 18,000 worldwide. Plus, there are only 3,600 of the more critically endangered Black rhino left in the world; around 50% of them are found in South Africa. At the coalface of South Africa’s rhino poaching crisis are individuals and institutions who are fighting day and night for the survival of these two African rhino species in the face of seemingly insurmountable odds. 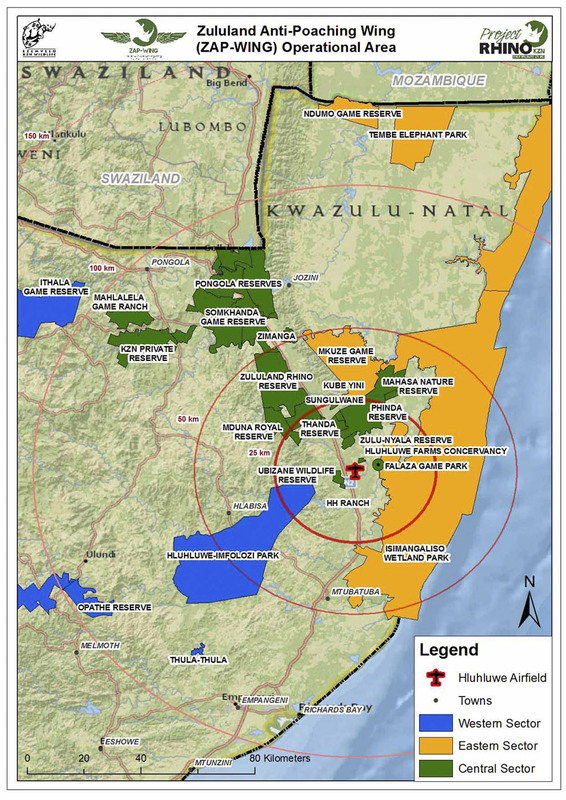 The Project Rhino team are one of these and are leading the fight against rhino poaching in the KZN province. 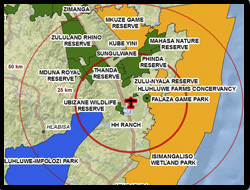 Today, KZN has the greatest density of Rhino in South Africa with 21% of the nation’s White rhinos and 24% of the national Black rhino population. The province has lost over 830 rhinos to poachers in the past 6,5 years; whilst these odds seem good compared to other regions (only 12% of the national tally) it is because provincial role-players are being proactive and taking the fight to the poaching syndicates. Rhino poaching comes in the form of planned, furtive raids by poachers armed with high-calibre weapons, night-vision equipment, getaway vehicles, and backed by vast, well-funded and organised international criminal networks. Rangers are increasingly being targeted – evidenced by the growing number of AK47s found in the possession of poachers, which are carried alongside hunting rifles and axes, in case of interception by anti-poaching units. Countering escalating poaching threats requires sophisticated responses, many of which have never before been used in the conservation sector. The past few years have seen a large-scale concerted response by South Africa’s conservation community to fight back against rhino poaching: game rangers are being trained in paramilitary skills; hi-tech equipment such as thermal imaging is now common; in the Kruger National Park, the South African Defence Force has been deployed; legal and judicial experts are teaming up with State Prosecutors to improve Court convictions, and communities living close to game reserves are being turned into Rhino Ambassadors – guarding the guardians of South Africa’s rhinos. Aerial surveillance is proving to be a highly worthwhile addition to on-the-ground anti-poaching operations.